Last week’s Game Developers Conference in San Francisco brought together top gaming professionals from around the world to showcase the latest in gaming technology. Samsung participated in seven sessions during the conference showcasing the work we’re doing to advance the state of mobile gaming. You can re-watch select GDC sessions via our YouTube channel. Samsung is proud to be a Promoter Member of The Khronos Group and participate in many of their open standards, including the Vulkan API. During #KhronosDevDay on Tuesday, Lewis Gordon talked through depth stencil resolve, an upcoming extension to the Vulkan API. Kostiantyn Drabeniuk then joined Jack Porter from Epic Games to discuss how we partnered to bring Fortnite to mobile Devices that run Android 8.0 or higher (Oreo or Pie) and that have the right hardware can take advantage of the Vulkan Render Hardware Interface for higher performance than just using Open GL ES. You can get all of the presentations from the Khronos Dev Day on their web site. On Wednesday, Samsung, ARM, and Epic Games continued the discussion on optimization. I got my start building profiling and other real-time analysis tools for embedded systems, so I’m really excited to see all of these great tools being made available for today’s game developers. Jose and Michael shared practical tips on how to double your frame rate in one instance and how to get more than a 50% increase in performance by changing a single line of code in another. ARM has also released their Vulkan best practices for mobile developers on GitHub. We also had a chance to share our work with Unity on their upcoming Adaptive Performance feature. With precise information on thermal trends, mobile game developers can deliver longer play times and smoother frame rates on the Galaxy S10 and Galaxy Fold. Adaptive Performance will soon be available as a preview in release 2019.1. We also shared the stage with Google to talk about optimizing your apps for different screen sizes including DeX and Galaxy Fold. If you haven’t already done so, check out our resources including our Guide To App Continuity, our emulator, and the Remote Testing Lab. Finally, we discussed several aspects of our Galaxy GameDev program which kicked off in 2016. 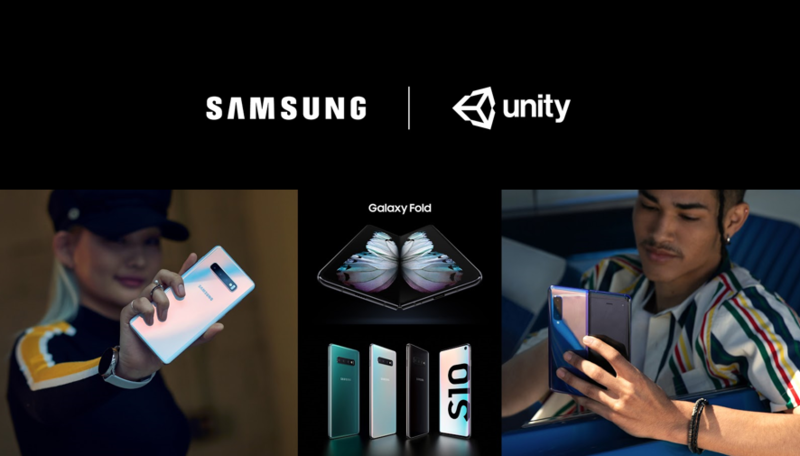 Samsung works with GPU manufacturers like ARM Mali, game engine providers like Unity and Unreal, as well as developers to ensure Galaxy is the best mobile gaming platform. From loaner devices, tools, and on-site support, we’re supporting game developers around the world. We’ve introduced GPUWatch, which lets you monitor the performance of your game in real time without installing any additional software on the device. GPUWatch will be available through the developer options on select devices running Android Pie. Our GameSDK, which will be available soon, allows you to check for GPU bottlenecks and predict thermal throttling so you can make adjustments in real time for maximum performance. 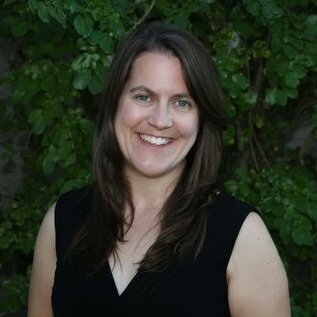 Outside of GDC, I had the opportunity to attend the 19th annual Women in Gaming Rally. 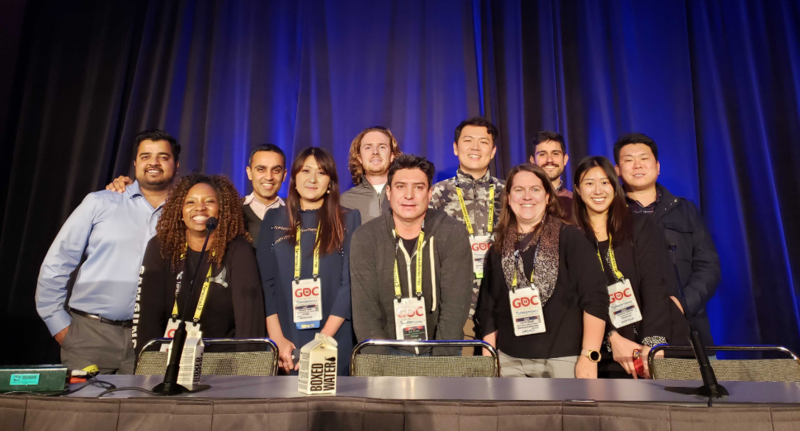 With a focus on diversity and inclusion, the panel discussion at this event highlighted some of the great efforts being made to ensure game creating and game playing can be great experiences for everyone. The energy and positivity in the room were truly inspiring. We hope you’ve enjoyed our focus on gaming during the month of March. Stay tuned to our blog for #gamedev news.